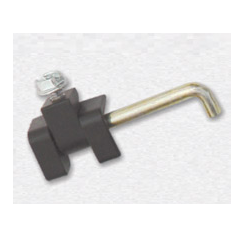 We are the leading manufacturers and suppliers of Zinc Die-cast Hinges 180°. These hinges have accurate dimension and application specific design. The offered range of parts is manufactured using high quality factor inputs and advanced technology. We, “Neo Star Engineering Pvt. Limited,” came into existence in the year 1989, at Delhi (India), are the leading name engaged in manufacturing, trading and supplying a comprehensive assortment of Door Handle with Lock, Earth Movers Spare Parts, Door Hinge, etc. These products are manufactured using optimum quality raw material and sophisticated technology under the experienced guidance of our professionals in order to follow industrial quality norms. The entire range is widely appreciated among our prestigious clients for its features such as compact design, dimensional accuracy, reliability, durability and perfect finish. In addition to these, offered range can be availed in both: standard form as well as in customized forms as per the varied requirements of clients. Moreover, clients can avail these products from us at cost-effective price range.